and also frosted DH’s birthday cake with it today. The recipe I started with is here. In a nutshell, this is how I used that recipe. I beat the butter until smooth, then added the cream, salt, and extracts. When they were well mixed, I added the powdered sugar and beat until smooth. I needed about one and a half times this recipe to barely frost a four layer cake (two pans of cake, each cut into two layers). 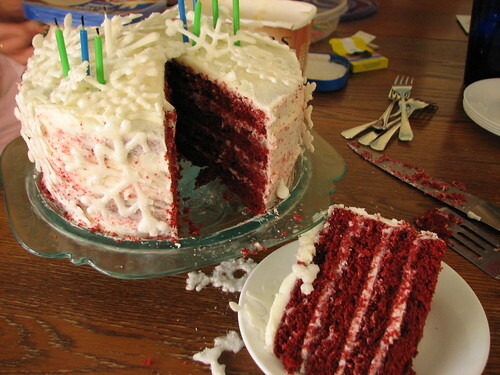 If I were piping some of the frosting to decorate the cake, I think I’d double the recipe. I could have used more this morning when I was frosting DH’s birthday cake. Better too much than not enough. I like to be generous with frosting. 🙂 And, besides, you need extra to make graham cracker cookies, don’t you?? 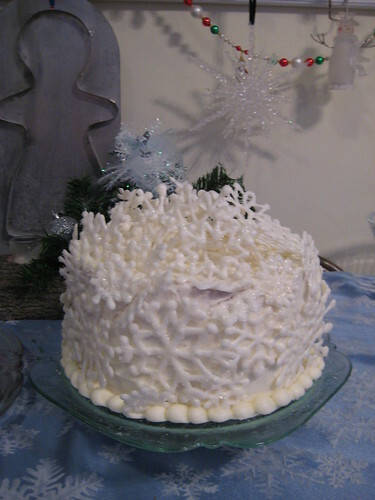 This entry was written by ~~Rhonda, posted on December 28, 2008 at 9:32 pm, filed under Recipes and tagged buttercream frosting, icing. Bookmark the permalink. Follow any comments here with the RSS feed for this post. Post a comment or leave a trackback: Trackback URL.